The centres, both based in Shanghai, are designed to help Chinese national students, aged 15-16, prepare for an international education in the UK or US. The centre in Jinshan offers an academic-focussed British or American curriculum and in Minhang the curriculum specialises in the Arts. Students complete a two-year programme, taught in English, and then have the opportunity to progress to a CATS College in the UK or US or Cambridge School of Visual and Performing Arts to complete their year 12 studies in preparation for entry to a UK or US university. 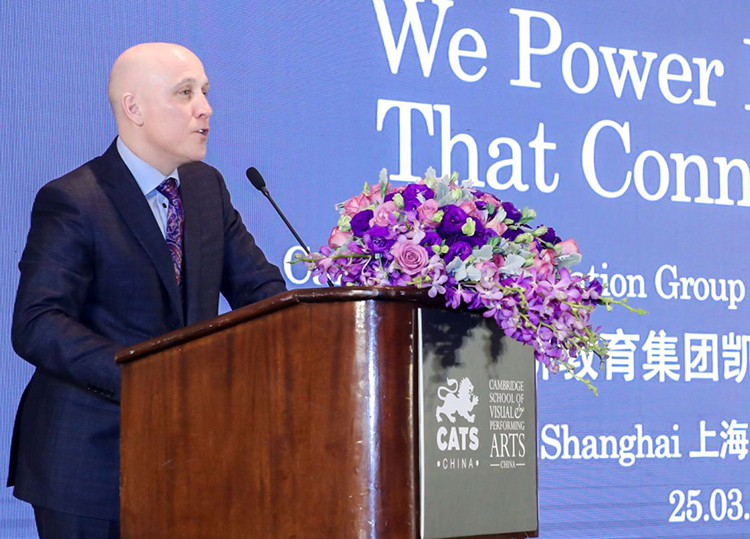 The event, held at Peninsula Hotel Shanghai, was hosted by CEG and the centres’ founders Sam Huang and Joe Chen. Over 130 delegates, from the local community and education sector attended including the British Consulate, China-Britain Business Council and UK university representatives. Cambridge Education Group (CEG) is a leading global education pathway provider, working with partner universities and its own colleges to help international students progress to prestigious post-secondary academic institutions in the UK, North America and Europe. Operating under the CATS, Cambridge School of Visual & Performing Arts (CSVPA), ONCAMPUS, Stafford House International and CEG Digital brands, CEG offers high-quality high school, creative arts, English language and university foundation tuition to students from over 110 different countries. Cambridge Education Group has been helping students achieve their best for over 65 years. Its mission is to promote educational aspiration; develop life and learning skills and open academic pathways for all its students to fulfil their potential and ambition. Its aim is to offer a quality of experience and level of service to each and every one of its students and partners that is unsurpassed in the sector.